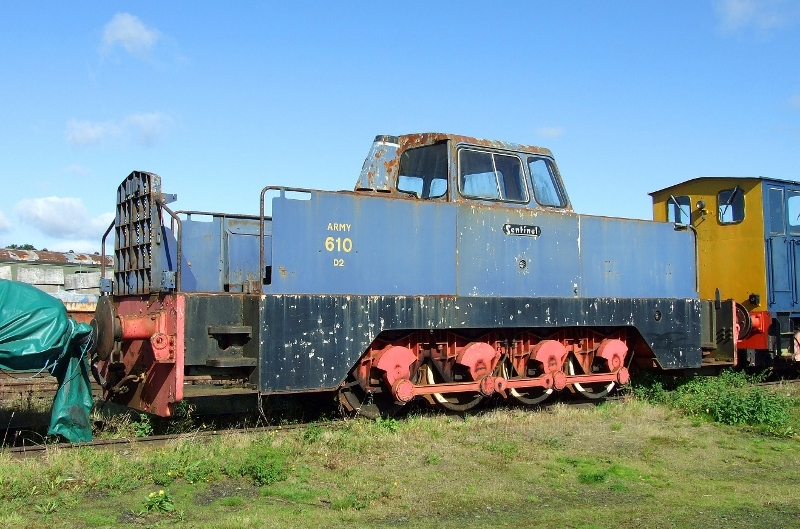 Martyn Hilbert's Railway Photography - Industrial Locomotives - Army 610 at Long Marston. Army 610 at Long Marston. In a sorry state, Army 610 a Sentinel built 0-8-0 diesel hydraulic, built in 1963 works number 10143, is seen at Long Marston on the 12th September 2010.